April 21st: Trade union Unite today (Tuesday April 21st) said that it has received the draft Deed of Release for Waterford Pension Scheme members from the Chief State Solicitor’s office, and that the union’s legal advisors are currently examining the documentation to ensure that it is in order. 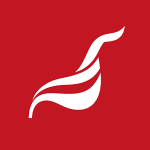 “We have now, after all this time, received the draft Deed of Release and associated documentation, which our legal advisors are examining to verify that it complies with the terms of the settlement negotiated on behalf of our members by Unite. “Unite members can be assured that we will respond to the Chief State Solicitor this week, once our legal team has ensured that our members’ interests are fully vindicated”. This entry was posted in Press Releases, Republic of Ireland news and tagged Jimmy Kelly, pensions, Unite ROI, waterford crystal. Bookmark the permalink. Just wondering if we the workers are any nearer to getting all of this sorted ?